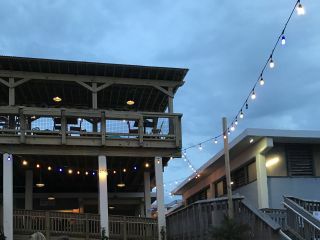 The Big Chill Beach Club and Event Deck is a wedding venue located in Bethany Beach, Delaware. 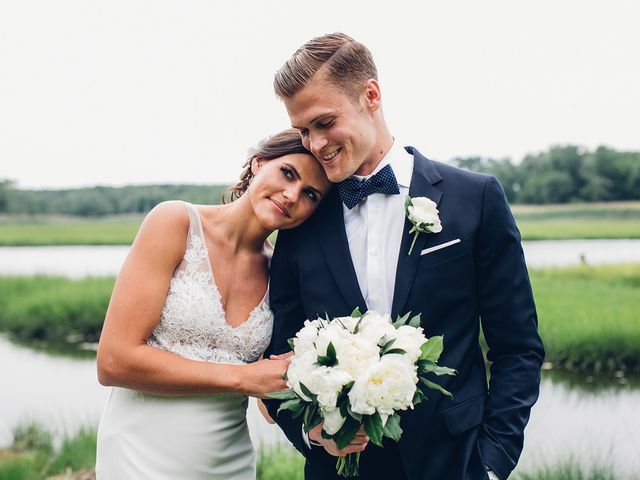 Couples who enjoy long stretches of sand and the sound of crashing waves will instantly fall in love with this new venue in Delaware Beach. 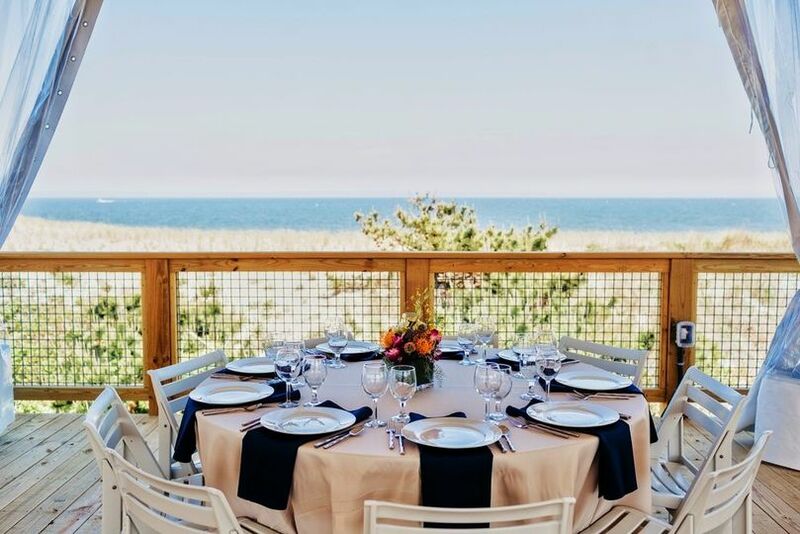 With 360-degree views of the Atlantic coastline and Rehoboth Bay, you will literary get to experience oceanfront views everywhere you turn on your big day. 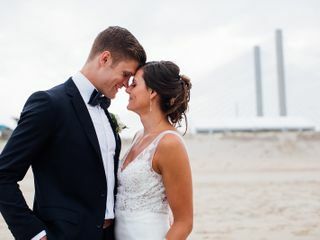 Couples will get to experience their ceremony and reception in this prime location near not only the Atlantic Ocean, but also the Indian River Inlet. 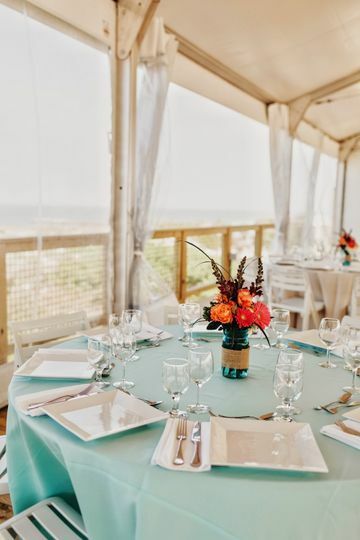 For your ceremony and reception, you will be able to use the stylish tent at the Big Chill Beach Club and Event Deck. 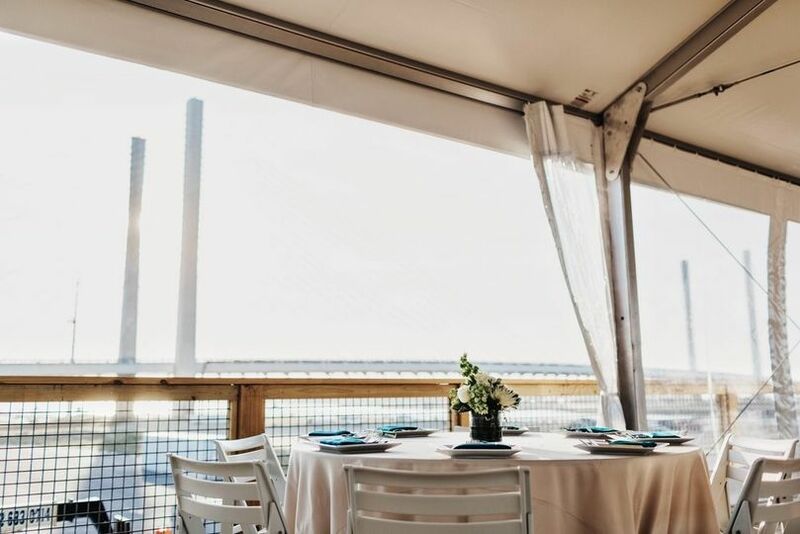 Depending on what wedding event you are hosting in the tent, the capacity can vary. 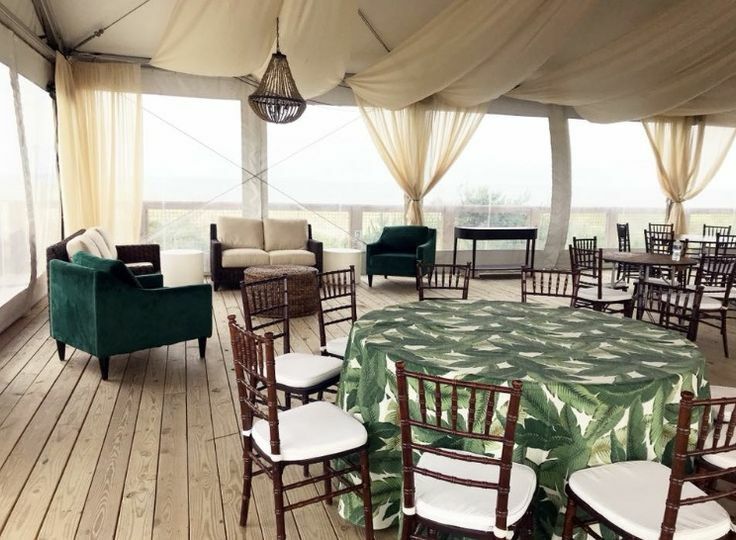 For example, the tent can accommodate 200 of your guests for cocktail parties and 160 of your guests for sit down dinners. 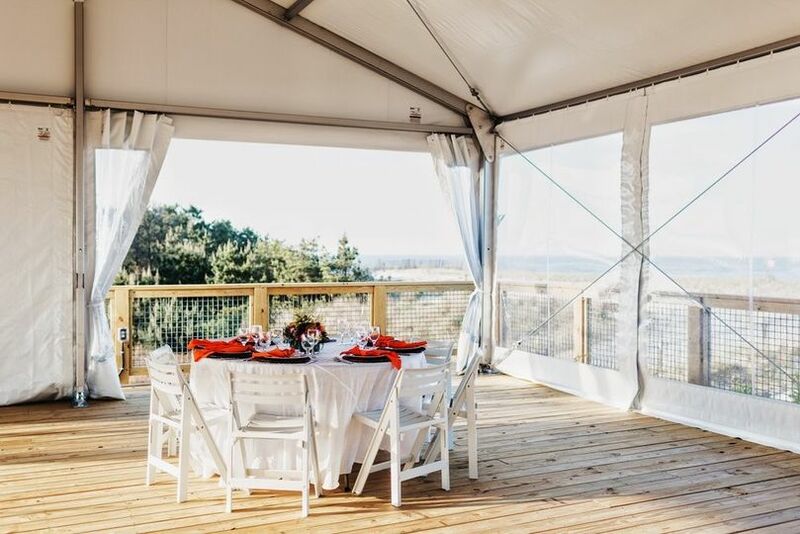 Whatever wedding style you have in mind, you can create it in this tent. 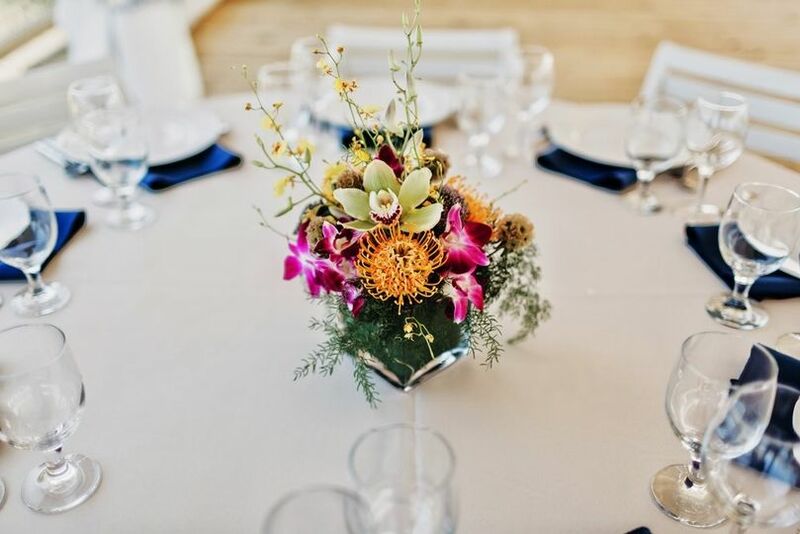 Then, on your big day, you and your guests will enjoy your dream wedding while experiencing all of the natural beauty surrounding the venue. To start: Kathy. Oh my goodness. 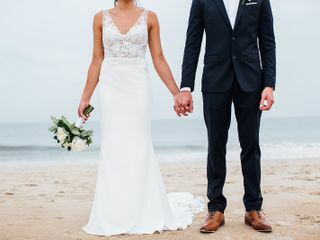 As an out of town bride I never had to worry with my wedding in Kathy’s hands. If I needed something, she responded. If I wanted something, she found a way to do it. If I was apprehensive about something, she made me feel better. She was simply simply amazing. She never made me feel like I was asking too much or bothering her. She was simply so fabulous! There was a moment after getting our pictures taken and walking by the tent where I was told “Kathy needs you!” I got nervous! I turned a corner to find her with a plate full of hor dourves for my husband and me! She had the biggest smile and we were seriously beaming and grateful back! 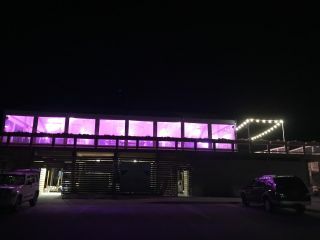 Next: the venue itself. When I looked out at the moon rising over the ocean and the sun setting over the bridge/bay I really had to take it all in. 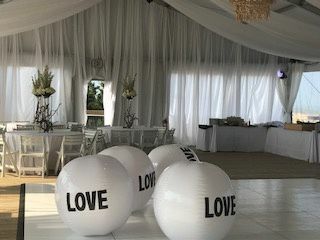 We were fortunate to have fabulous weather that enhanced the venues beauty. The breeze through the tent helped us stay comfortable on a September night! It was spacious, too! The staff was awesome. 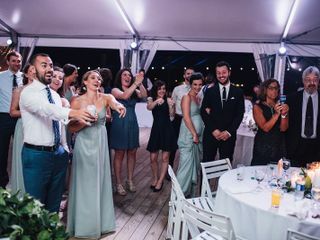 They were friendly and happy, bar tenders were quick which was great because I was concerned with there only being one bar (2 bar tenders for 180 people)! 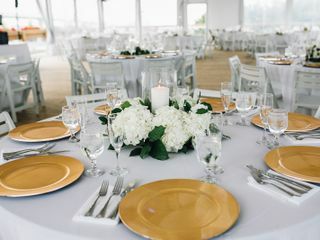 Ours guests raved about the venue and it’s staff and although I knew it in working with them for 10 months, I’m so grateful my guests agreed in our 5 hour reception! 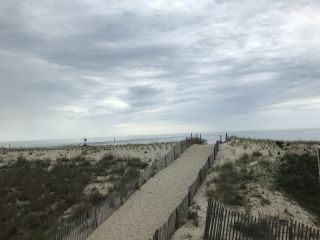 Thank you, Kathy and The Big Chill Beach Club! Joe and I booked our wedding before the venue was even built. We got to work with Kathy the whole time - perfect! The team was flexible as we had an uncharacteristic rainy and misty day and they waited until the last moment to make the call to stay outside with us. 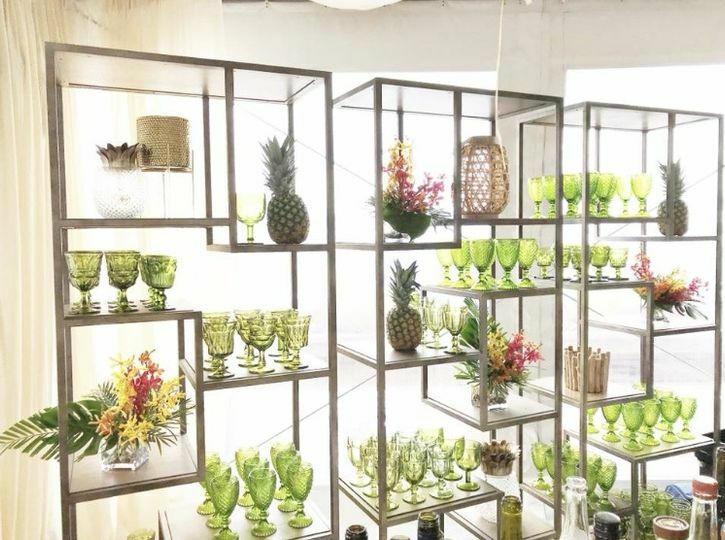 The menu was customized (for an additional cost) to perfectly match our tropical oasis theme. Drinks were fabulous. Staff is so friendly and amazing. We've already been back to the club to celebrate little anniversaries. Love that it is a blank canvas and we could really add our touches to it. Emily help us throw together an amazing surprise vow renewal for my father and mother in law. 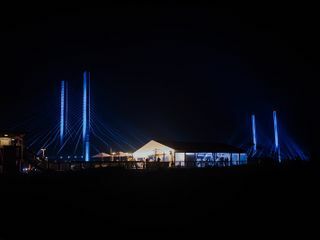 It was a beautiful ceremony on the beach and an amazing reception (with awesome food) overlooking the bridge. It was absolutely perfect. Emily was responsive and even on the reception floor herself helping out. We had such a blast because of her. I highly recommend using this venue. It was absolutely perfect.